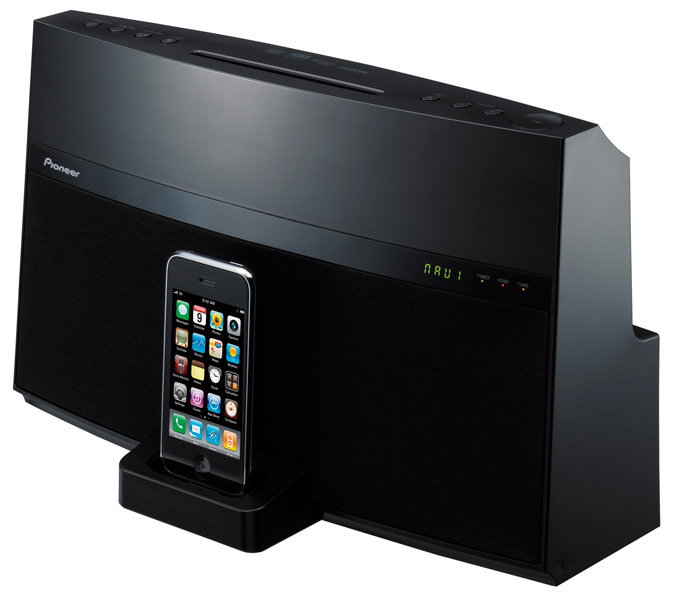 Pioneer Electronics (USA) Inc. finds the right tune for every music fan with its new comprehensive line of “Works with iPhone” audio/video docking systems. From the audio aficionado to the casual music fan, Pioneer’s Audition, Duo and HTD series of systems enable the millions of iPod®, iPod touch® and iPhone® users to enjoy their portable music and video devices in numerous ways throughout their home. Each model is feature-rich and geared for various applications ranging from personal high quality audio listening to home theater integration. The new A/V docking systems include “Works with iPhone” certification, 2.1 speaker and subwoofer design, HDMI outputs, component video output, composite video connectivity and Bluetooth® audio streaming capability. Designed for the music connoisseur, the new Audition Series system, XW-NAS3/-K delivers unparalleled reproduction of compressed audio files in order to provide excellent audio and video quality that Pioneer is known for. Music is fuller and more impactful because the system is constructed using a double isolated frame that improves overall bass response while significantly decreasing cabinet resonance. The Audition Series delivers sound reminiscent of a large, high quality audio system. From the clarity of high hats to the chest kicking bass of the drums, the entire audio frequency spectrum is reproduced by the system’s 2.1-channel dynamic digital amplifier. Users can turn up the music and expect a dynamic musical experience from its digital amplifiers that powers a pair of full range speakers and a dedicated amplifier to power a built-in subwoofer. Users can also expect video content to look its best when the Audition Series system is connected to a television monitor or display. A set of component and composite video outputs are built-in for streaming YouTube videos and watching other video content stored on an iPod, iPod touch or iPhone. Conveniently, the system plays back music content without the need to physically dock the iPhone or iPod touch, allowing users to keep their iPhone 3G, iPhone 3GS or iPod touch (2nd generation or later) close to them. With a source device that supports Bluetooth3 A2DP, including an iPhone 3G, iPhone 3GS, iPod touch (2nd generation or later), personal computer or any other Bluetooth compatible device, the Studio Series enables wireless audio streaming using Pioneer’s AS-BT100 Bluetooth adapter (sold separately, $99). The Audition Series system, XW-NAS3/-K will be available April in black or white for a suggested retail price of $449. 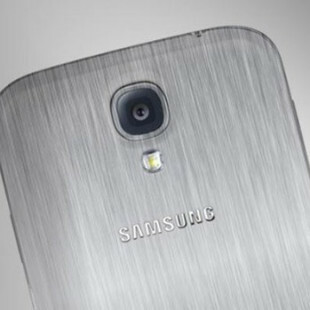 Many gadget and music fans agree that one portable device is never enough. With dual top-mounted iPod connectors, Pioneer’s Duo Series systems, XW-NAC1-K and XW-NAC3-K, are perfect accessories for the casual music fan who desires freedom and flexibility in their entertainment lifestyle. Listening to music on either Duo system doesn’t mean the source device must be docked. 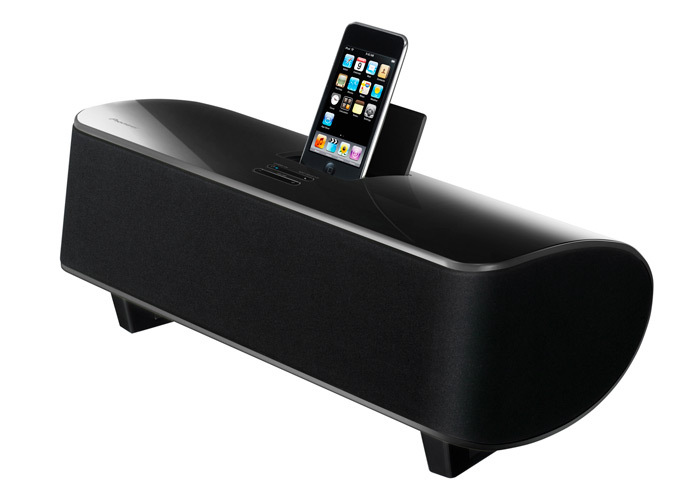 For users who require a convenient way to enjoy music while keeping their devices close to them, both systems feature built-in Bluetooth to wirelessly stream audio from an iPhone 3G, iPhone 3GS, iPod touch (2nd generation or later), personal computer or any other Bluetooth compatible device. With dual docking ports on top of the Duo Series systems, two different iPods, iPod touch or iPhones can be mounted at the same time, allowing users to select between two music collections while simultaneously charging both batteries. The Double Shuffle feature allows users to enjoy content from one or both of the docked iPhone, iPod touch or iPod devices. While in shuffle mode, Double Shuffle acts as a virtual DJ providing continuous playback of music between the two docked players and fading the music in and out between songs. To quickly select and navigate through tracks, users can preview music on devices that are docked on the Duo Series systems. The first ten seconds of each song is played with fade in and out effects using the Hi-Lite Scan function. Once a desired song is located, a push of a button plays the song in its entirety. With Pioneer’s XW-NAC3 Duo system, users can conveniently playback music files from any personal computer in the house through DLNA 1.5. The XW-NAC3 becomes part of an entire home network system with the ability to connect to a DLNA media server, personal computer or other networked devices. Internet radio provides endless audio entertainment with thousands of worldwide stations. The XW-NAC3 allows playback of Internet radio utilizing its vTuner feature. With a push of the Internet Radio button on the included remote, users can access virtually any type of music content around the world. Both Duo Series models offer an auxiliary input for connecting audio devices with a mini jack (headphone) output. For added convenience, the XW-NAC3 features a USB4 connection located on the top of the dock. Linked USB devices such as hard drives, thumb and flash drives with MP3, WMA, AAC and FLAC files can all be accessed using the dock’s controls. Compressed audio files are often significantly reduced in size for storage convenience, and due to the compression process, the sound quality of the music can be sacrificed. Pioneer developed Sound Retriever AIR to enhance the audio quality and musical detail of compressed music files sent via Bluetooth to create a fuller, more rich and enjoyable listening experience. The contemporary cosmetic design of the Duo Series models blends nicely into any home décor. The cosmetic finish and sleek design makes them ideal for small areas, and the controls on the top of the dock give them a simple, clean look. Found on the XW-NAC3, the blue backlit LCD screen displays a clock with wake up and sleep timer, volume and additional music information. The Duo Series systems, XW-NAC1-K will be available in May and the XW-NAC3-K will be available in June for a suggested retail price of $349 and $449, respectively. The Pioneer HTD system, XW-NAV1K-K is designed for consumers in search of an all-in-one solution for their home theater needs. 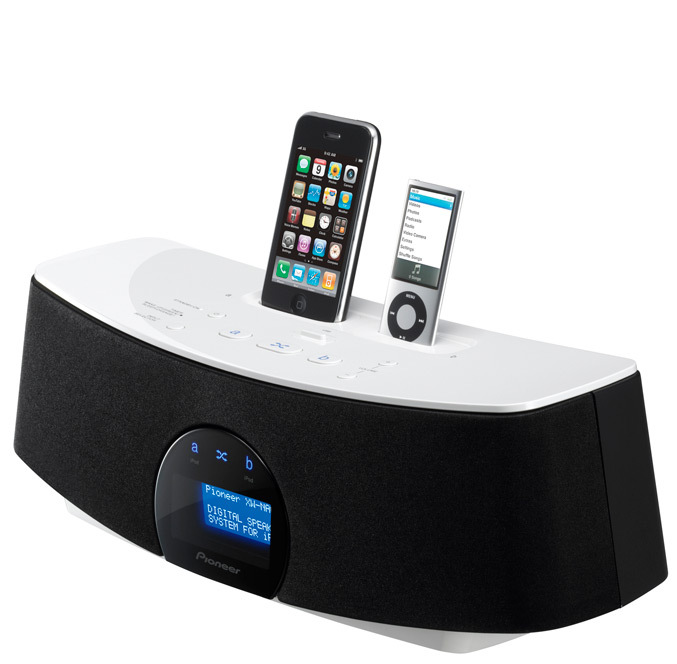 Contained within its compact design is an entire multimedia system that includes a “Works with iPhone” certified dock, DVD/CD player, FM tuner and USB connectivity as well as CD to MP3 ripping capability. 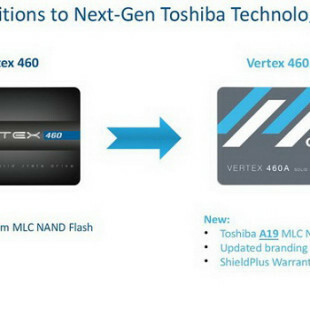 Users can expect high quality video when a HTD system is used to play DVD movies. The player provides progressive video output from the built-in HDMI port including the scaling of DVD video to 1080p near-HD resolution. For playback of movies and photo slideshows, the dock can be connected via its composite output. Ideal for consumers who want to outfit a room with different sources of entertainment with great audio performance, the HTD system produces big sound by using a digital amplifier to power a pair of Full-Range speakers. The low frequency bass in music and rumbling sound effects in movies are delivered to listeners with the use of 2.75-inch passive radiators. DVD and CD writable discs with DivX, WMA, MP3 and JPEG files can all be played back on the system’s multi-purpose DVD/CD Drive. Consumers will also appreciate HTD’s additional features that include an auxiliary input, FM tuner, clock and alarm. The all-in-one HTD Series system, XW-NAV1K-K will be available in June with a black or white frame for a suggested retail price of $299.